Get a free commercial insurance quote today and see how much you can save. 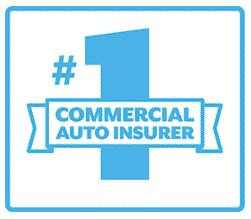 Your Local Agent for the #1 Commercial Auto insurer. Hundreds of thousands of businesses trust Progressive for their commercial auto insurance needs. Progressive is one of the largest commercial auto insurance providers and the No. 1 truck insurer in the nation. Progressive offers special benefits designed specifically for commercial auto and truck owners including discounts, competitive rates, exceptional claims service and more. Insure your work cars and SUVs with the same features our Personal insurance customers enjoy. Insure your work trucks and trailers with customized coverages such as Seasonal Truck insurance. Progressive Commercial insures for hire livery, or the transportation of people. Whether you work for yourself, Uber or an airport, we can insure your vehicle with coverage to match your particular situation. Insure your truck and receive 24/7 customer support that covers claims, filings and certificate services. Get specialized coverages including On-Hook Towing and Garage Keepers Legal Liability insurance. Get Dump Truck insurance with coverages such as Physical Damage and Motor Carrier insurance. Commercial truck insurance and tow truck insurance customers who have a Commercial Driver's License (CDL) can save up to 20 percent. Business auto insurance, commercial truck insurance, and tow truck insurance customers who have been in business for more than three years are eligible for a discount of up to 5 percent. If you've maintained continuous insurance coverage for the last 12 months, you could be eligible for additional savings. Customers with multiple policies with Progressive could be eligible for our Multi-Policy Discount. Business Auto customers with an in-force General Liability or Business Owners Policy could be eligible for a discount up to 15 percent. You could save up to 15 percent if you decide to pay your policy all at once.